To complement John Deere’s comprehensive range of walk-behind lawnmowers, 2014 will see the introduction of the all-new RUN Series consisting of three models, the RUN41, RUN46 and RUN51. Equipped with working widths of 41, 46 and 51cm respectively, RUN Series models are suitable for maintaining gardens ranging in size from 1000 to 2000m2. These new lawnmowers feature a single-speed self-propelled transmission with Ready Start engine technology for simple start-up and operation. An optional mulching kit is also available for the RUN46 and RUN51 models, to increase their versatility. 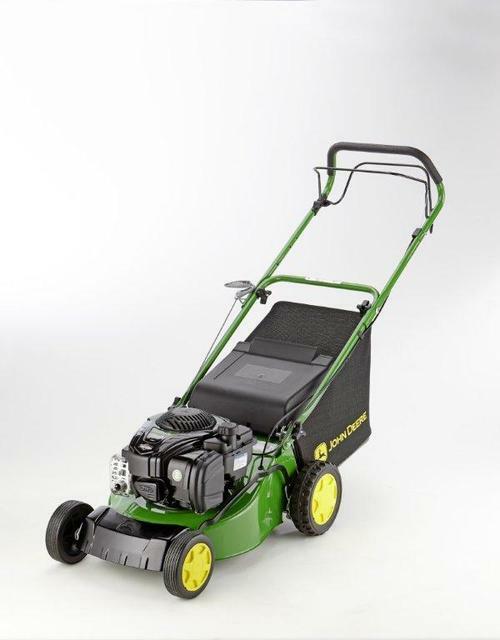 The John Deere RUN Series are designed to make lawnmowing easy and convenient, at an affordable price. Sales of all three new models will start in spring 2014.